Update your bathroom, kitchen, or living area with Phoenix Flooring – Carpet Tile Hardwood & Laminate and our tile flooring professionals. Coming in a huge variety of different colors, styles, and textures, tile flooring can add life to even the most drab area. The most popular type is ceramic, but you can also get tile options in granite, stone, limestone, marble, and more. Our Phoenix showroom has a massive amount of different tiles to choose from. Ceramic Tile: Great for high traffic areas because it is highly tough and virtually maintenance free. Ceramic tile is great in kitchens, hallways, and entryways as they are easy to clean. 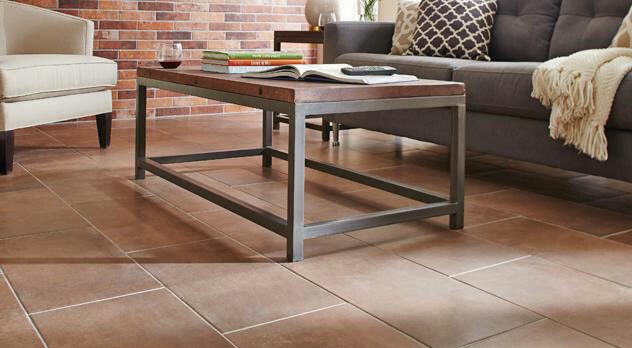 Ceramic Tile: Great for high traffic areas because it is highly tough and virtually maintenance free. 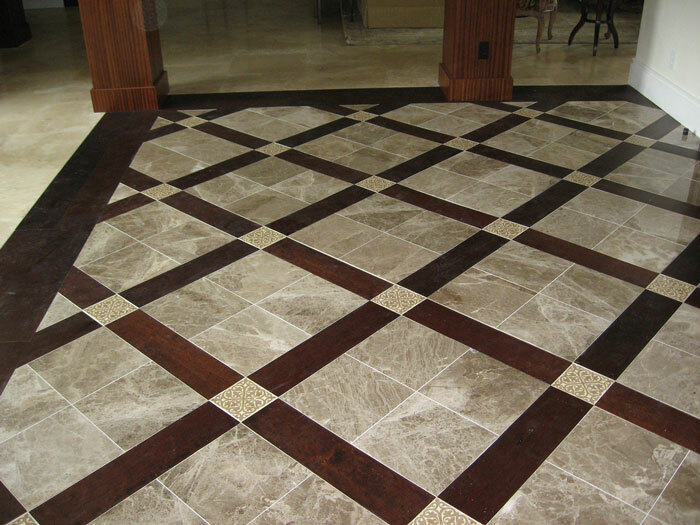 Ceramic tile is great in kitchens, hallways, and entryways as they are easy to clean. Granite Tile: One of the toughest types of tile with an impact and heat tolerance that is unmatched. With an elegant look and glittering visage not only is visually appealing, but also increases the resale value of your home. Marble Tile: This type of tile is most notable as having a classy flair that can add value and style to just about any space. It is an extremely tough mineral that can add grandeur and luxuriousness. Limestone Tile: Because of it being softer and highly porous, this type of tile isn’t recommended for spots that have a large amount of traffic. Using a good sealer though can mitigate this inherent problem and create a remarkably durable material that will bring you pleasure for many years. Porcelain Tile: Taking the styles of many different types of natural stone, porcelain tile is known for its elegance and swatch of different hues. The manufacturing process makes this type of tile a stage higher in strength compared to ceramic, without sacrificing any of the style. Slate Tile: Often found in outdoor areas, this material can also be found in a multitude of indoor areas such as bathrooms, kitchens, and bars. Unique for its look of being composed of multiple layers, Slate will add personality to just about any spot. Onyx Tile: This mineral provides a large amount of different variation allowing for it to be worked into just about any spot. Coming in a triplicate of different styles – tumbled, honed, and polished – you can be sure this tile can do your home wonders. 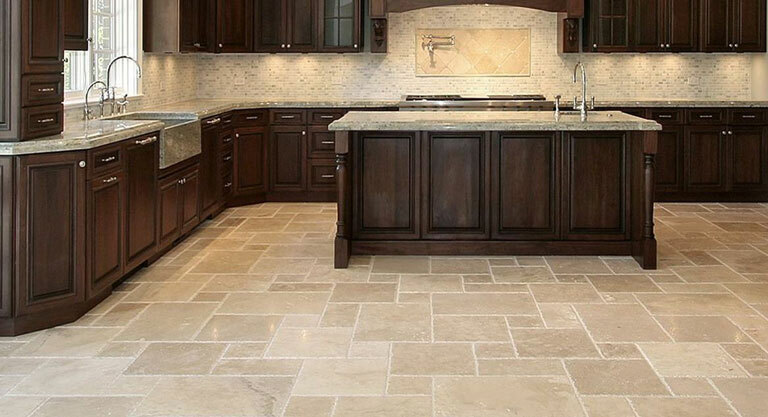 Travertine Tile: This type of tile can come everything from rough to smooth, matte to glossy. Travertine is a type of limestone that is best known for having it’s imperfections kept in place to give it a jagged surface. Call Phoenix Flooring today at 602-344-9997 or request a quote online to schedule an appointment.